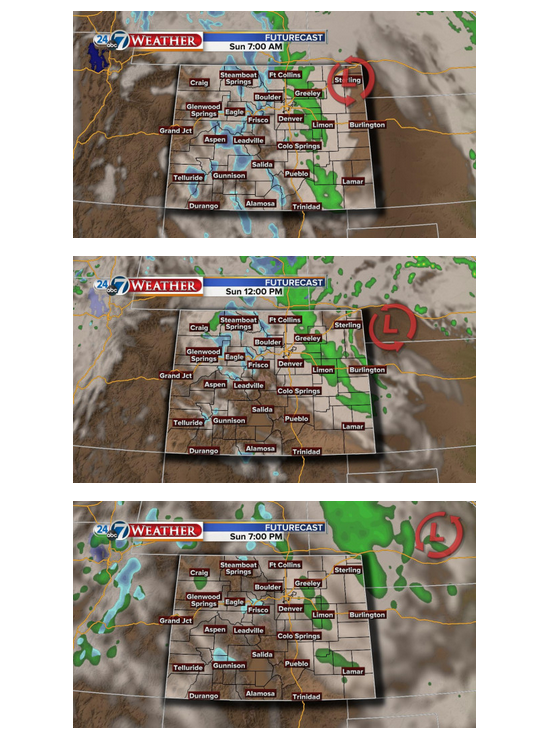 Strong spring system to slide overhead tonight, with dramatic changes to Colorado. However, one of the driest parts of the system will likely be over Denver with the dry slot as mentioned in a previous post. As of Saturday evening, the upper level storm system was swirling over northern Arizona. The direction is still on track to move northeast right over the northeastern plains and into Nebraska tonight and Sunday as seen here. As the Low moves through it will make for some incredible wind statewide. Wind gusts will be strongest in the foothills and the eastern plains. Some areas will easily have 60mph+ wind gusts tonight and early Sunday. Also, given the track of the system it will keep the best chance for severe weather well east of Colorado. We will be on the back side of the system, which will mean a big cool-down. We are still on track to drop 25 or so degrees from today. DIA was 78 Saturday afternoon, and will likely only hit near-to-lower 50s Sunday. As far as the moisture, that outlook hasn't changed much since the last post either. 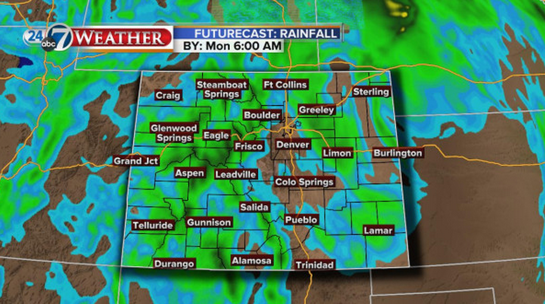 Snowfall, very heavy at times, will stay in the mountains and a pocket of heavier rain will fall on the eastern plains. This will very likely leave Denver and the I-25 core through the metro much drier than our surroundings. Here's a depiction of liquid water with this system. . . green areas are 1" and higher, blue is less than that. With a subtle shift in the speed or track of the system, only a 20 mile shift, would bring moisture over the city...so it's not out of the question, but the odds aren't looking likely for that to happen. There are also a lot of dynamics at play with this system that may be going un-forecast by the models. The energy wrapped up with this system is quite impressive -- strongest system we've seen in months. And that energy, confined in small enough pockets, may create areas of unexpected heavy precipitation. The most likely area to be watchful of is the Palmer Divide. The right setup here may produce heavy snowfall, if only briefly. It that setup actually pans out, south/west Denver to north/west Colorado Springs could have a burst of snowfall Sunday morning. 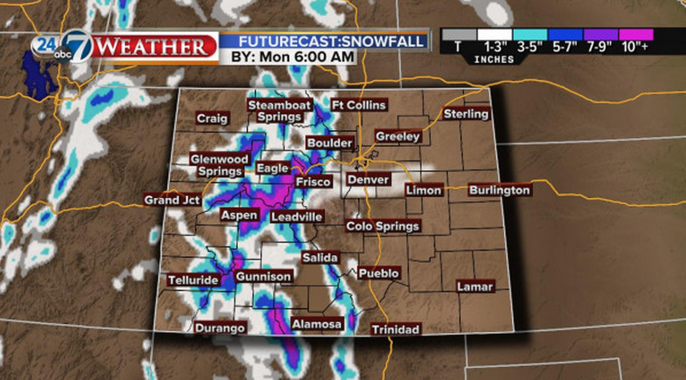 That's why I tweaked the snowfall output of one model to include at least some snow for the Palmer Divide. . . again, this is if the unexpected materializes. No matter what happens in the snow burst regard, we all need to plan on very strong wind tonight and Sunday. It'll make the conditions far worse for us all. Saturday's severe weather risk becomes much higher Sunday as the system moves to the east. The SPC has outlined sections of Texas, Arkansas, Missouri, and Louisiana with a moderate risk for damaging storms. Tornadoes do look more likely Sunday than they did Saturday and that threat will continue farther east on Monday. 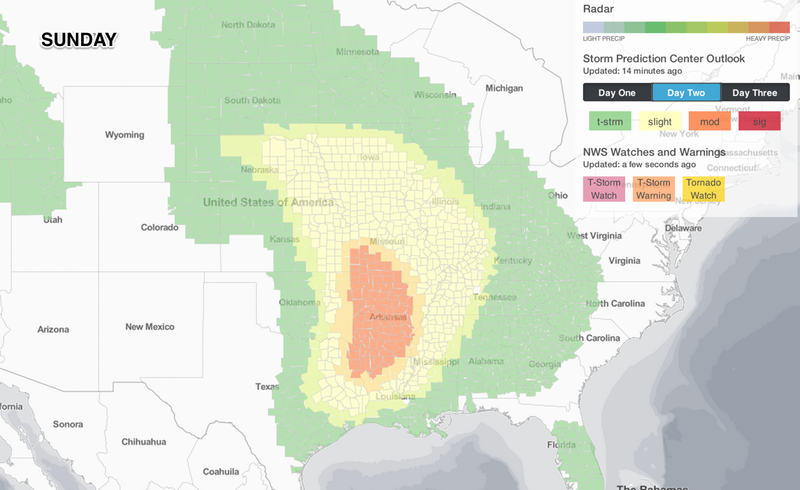 No, it isn't early for big severe weather outbreaks. 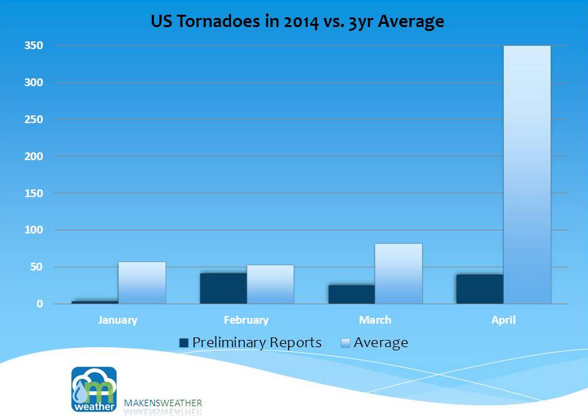 In fact, in terms of tornadoes the year has been very quiet. Based on SPC tornado reports, a historically quiet start to the tornado season. We'll post much more over the coming days as the severe weather and tornado threat elevate. It'll be a busy week for storm chasers and the NWS for sure!